The California Preservation Conference brings more than 600 participants from across the state to learn, network, and share successes. The conference includes over 40 sessions, special events, networking activities, and site tours in and around Palm Springs. From its stunning architecture to its breathtaking landscapes, Palm Springs retains much of its character because of the dedicated work of preservationists who have fought to create and maintain this iconic desert oasis. The 2019 California Preservation Conference will explore the innovative methods and strategies that architects, designers, planners, local advocates, and others use in the ongoing and perpetual fight to preserve cultural and architectural resources. See iconic historic places in tours, mobile workshops, and engaging conference sessions. Join the California Preservation Foundation and lead sponsor Palm Springs Preservation Foundation at the Hilton Palm Springs to celebrate the eternal work of preservationists in a dynamic and diverse region and state. Early bird conference registration and the special reduced rate at the Hilton Palm Springs expire April 5th. Make sure to book your stay early! "It has never looked the same on any two times I have been to site." 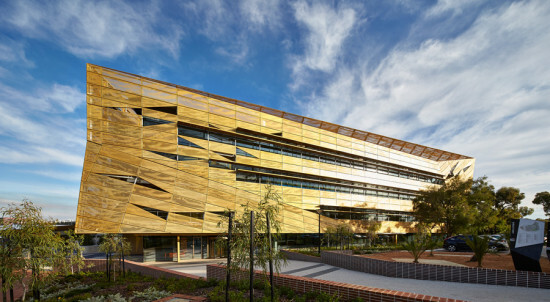 JCY Architects and Urban Designers have created a student services building on the Australian campus of Edith Cowan University that acknowledges the cultural identity of local Aboriginal community while providing sculptural infrastructure linking the campus community through a series of landscaped environments. The major elements of the building are an elevated concrete podium helping to negotiate a steep grade change, and a perforated aluminum solar shade. The project acts as a web with a central internal vertical spine atrium linked to various programs with a set of interconnected timber clad stairways. An elevated concrete podium navigating a significant grade change is formally derived from fluid dynamics studies of the flow of water through Australian billabong waterways. The podium's folded and sculpted white concrete soffit and faceted columns create their own seductive landscape, 'eroded' and opened up as would be found in nature when stone is sculpted by water. The architects designed the building in a way that makes future conversion to classroom space possible. This was achieved by incorporating “bubbledeck” concrete floor plates. This voided-slab forming system reduces the weight of the slab, increasing efficiency and reducing overall cost. The long span system allows for more slender columns, a generous structural grid spacing of around 30 feet by 30 feet, and a reduction of the shear walls required within the open plan layout. The architects also accounted for the maximum future utility spaces that would be required with a future change of use, which they say required over 30 percent redundant floor area. Edward Burtynsky: Oil Nevada Museum of Art, Feature Gallery South 160 West Liberty Street, Reno, NV Through September 23 One of the most important topics of our time, oil and its industry serve as the departure point for the work of one of the most admired photographers working today. 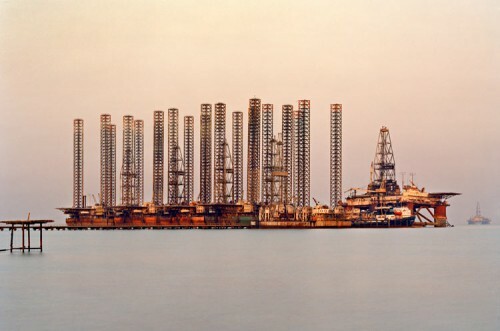 From 1997 through 2009, Edward Burtynsky traveled the world chronicling oil, its production, distribution, and use. 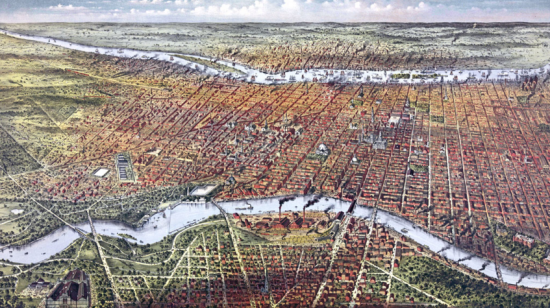 Through 50 large-scale photographs, Burtynsky illustrates stories about this vital natural resource, the landscapes altered by its extraction, and the sprawl caused by the development of infrastructure needed to transport it. Behind the awe-inspiring photography is an epic tale about the lifeblood of mankind's existence in the 21st century. Curated by the Center for Art + Environment, Oil forces the viewer to contend with the scale and implications of humanity’s addiction to energy.